In a world where people have the choice between starving or getting paid to be experimented on, they are happy to choose the latter. The Keepers, using the elemental powers of nature, are the only hope that humanity has to take down the despotic control of a genetic engineering company. Captain Dana Reeves is the leader of a group of fighters within the Keepers. But a mistake made by someone close to Dana may lead to terrible consequences for the source of the Keepers’ magic—and the world as a whole. That mistake forces her to make a choice between saving the man she dates or her mentor in the military. A choice that may change the outcome of the war dramatically. 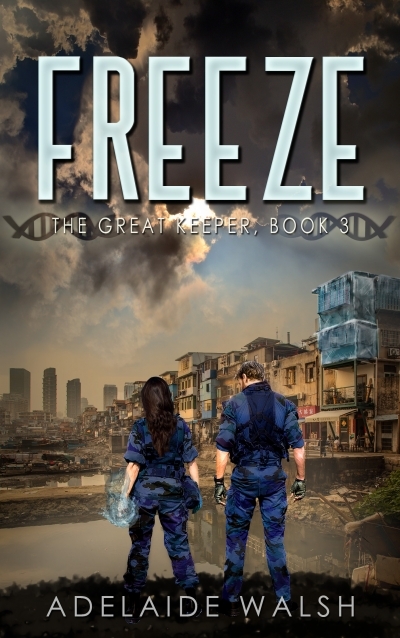 This is a preview to Freeze, Book 2 of The Great Keeper series.